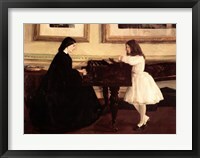 James Abbott McNeill Whistler (1834 - 1903) was a British-based artist who was born in America. 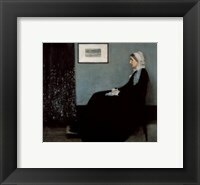 As a young boy, Whistler was moody and was prone to insolence and fits of temper. After bouts of ill-health, he often drifted into laziness periods. His parents discovered in his early youth that art often made him to settle down and helped focus his attention. They therefore encouraged him to do a lot of artwork. Whistler was active during the American Gilded Age, and was averse to moral allusion and sentimentality in painting, and was a leading proponent of the "art for art's sake" credo. The famous signature for his paintings was in the form of a stylized butterfly with a long stinger for a tail. Whistler lived the first 3 years of his life at 243 Worthen Street in Lowell in a modest house. The house was turned into a museum dedicated to him. 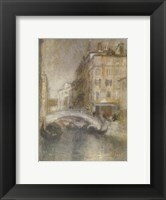 During the Ruskin trial, the artist claimed St. Petersburg as his birthplace, and declared that he shall be born when and where he wants, and that he did not choose to be born in Lowell. 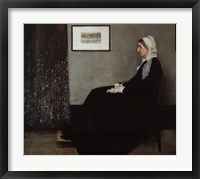 Whistler’s public persona was combative while his art was characterized by a subtle delicacy. Finding a parallel between music and painting, he entitled many of his paintings "nocturnes" "harmonies", and "arrangements", emphasizing the primacy of tonal harmony. Whistler influenced the broader culture of his time and the art world with his friendships with leading writers and artists and with his artistic theories. 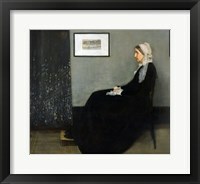 Today, framed James Abbott McNeill Whistler art are much sought after by many collectors worldwide.